Amen!!! Thank you for the cross!! Good night and God Bless!! 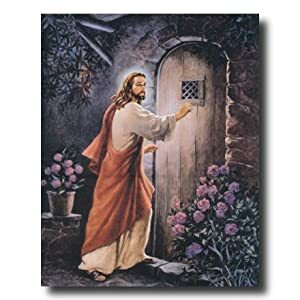 4 After this I looked, and, behold, a door was opened in heaven: and the first voice which I heard was as it were of a trumpet talking with me; which said, Come up hither, and I will shew thee things which must be hereafter. Did you answer when he knocked?? 3 And unto the angel of the church in Sardis write; These things saith he that hath the seven Spirits of God, and the seven stars; I know thy works, that thou hast a name that thou livest, and art dead. It’s been stunning to see the Left’s long knives come out for the leaders of the Chick-Fil-A corporation. Why? Because the company’s president Dan Cathy, a devout born again follower of Jesus Christ, has said that while he and his company respect and honor people of all races, creeds, religions and sexual orientations, he strongly believes in traditional marriage between one man and one woman and is “guilty as charged” when it comes to defending a Biblical approach to family. Cathy also warned that America could trigger the judgment of God against us if we choose to continue defying the Bible’s teachings on marriage. “I think we’re inviting God’s judgment on our nation when we shake our fist at Him and say, ‘We know better than You what constitutes a marriage,” Cathy said in remarks reported by ABC News.